Fall in the Pacific Northwest: one day it’s freezing and raining sideways, the next, it’s 90-degrees with wildfire haze. But we’re Portlanders, damn it, and we'll drink outside no matter the season! 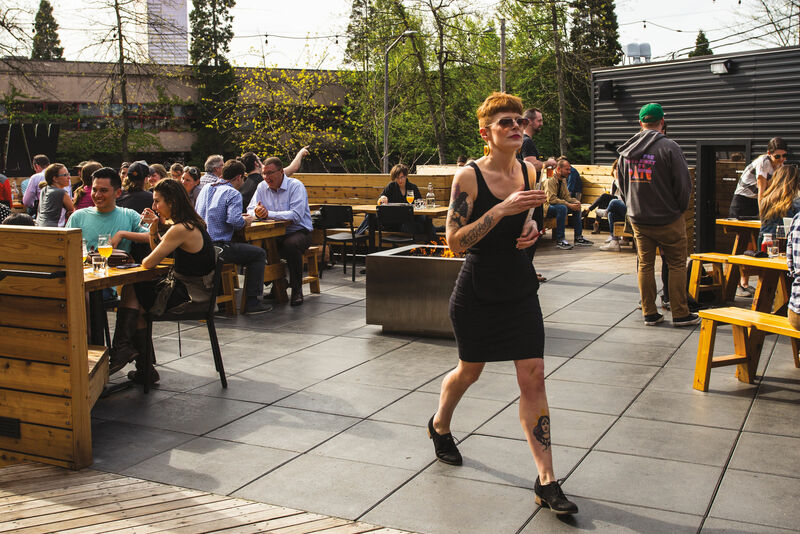 Here are our favorite outdoor drinking establishments, new and old: five spots for clinging to what’s left of the sunshine and five more where you can welcome the rain. Take your place amongst the greenery at Hop and Vine, where a canopy of strung lights and rows of picnic tables meet somewhere between Kinfolk and a German biergarten. If the carefully curated beer and wine lists aren’t enough, head next door to their 400-strong bottle shop. Drink of choice: The current seasonal cocktail, the Harvest Sour, featuring heirloom tomatoes(!) right from their on-site garden, tequila, basil, and lemon. Everyone is raving about this new “Deadwood-chic” watering hole, with crazy-fun cocktails and boozy popsicles. In case you need another excuse to visit, their patio rocks too, with a fire pit and shady ‘brellas for all types of weather. 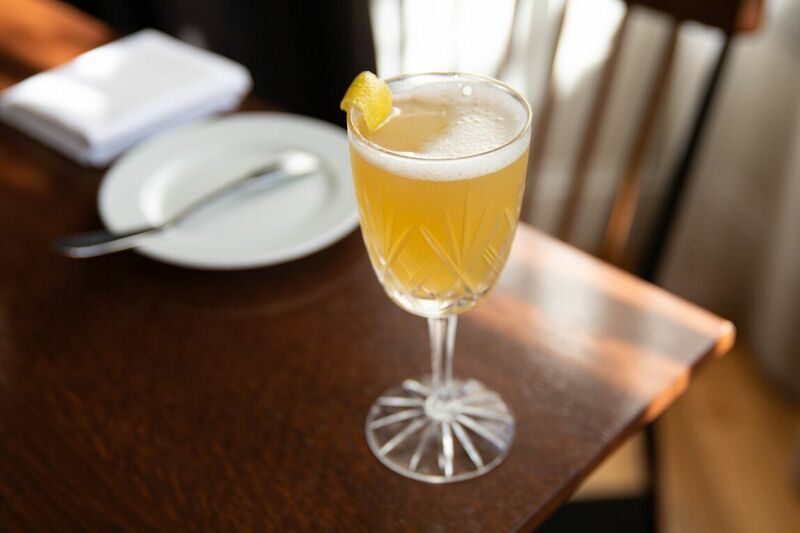 Drink of choice: Grandmaster Flowers with bourbon, nectarine, chamomile, and a twist of fruit leather. Despite a reputation as Portland’s defacto meat market bar, Rontom’s is still one of the best outdoor spaces in town. One look at the huge, outré wooden hanger bay and golden-lit bamboo patio makes it abundantly clear why this place is so attractive to the polo-wearing set—and everyone else. 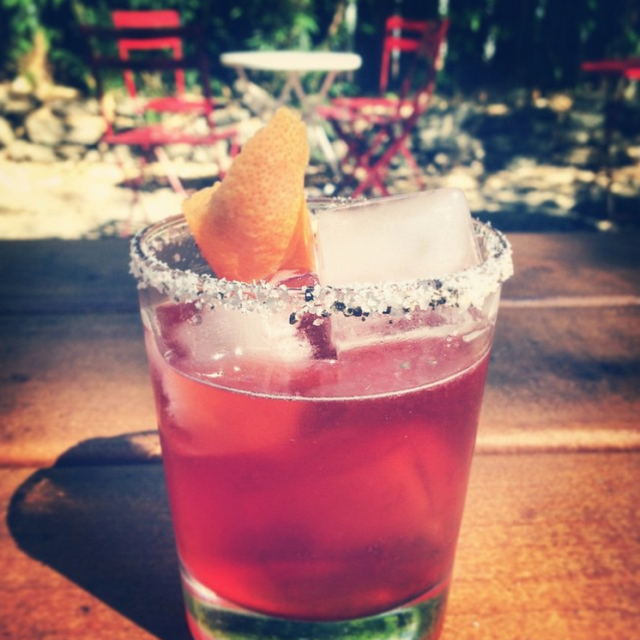 Drink of choice: The Rancho Cucamonga takes sangria up a notch with brandy and Cointreau. Division Street’s Richmond Bar debuted its patio this year, with a beautiful wooden courtyard lined with heaters and centered around a fire pit to you toasty on cool autumn eves. Drink of choice: With rum, red wine, and apple-cardamom syrup, the Red Skies at Night is perfect for a hint of fall in your cocktail. Past a jukebox and shuffleboard tables, this Williams hangout hides a massive back patio styled after a Zen garden—you know, if Zen monks drank Old Crow and smoked American Spirits. The patio is partially covered, with big garage doors that shutter when the rain starts. Drink of choice: Don’t overthink it; grab a beer and a plate of their inexplicably satisfying nachos. The Row is back, thank god. After a temporary shutter and new ownership, the 40-year old-plus bar has returned with nary a coaster out of place. That includes its iconic patio, still toasty and covered with a plastic half-pipe for downpour protection. Drink of choice: The Bulleit Rye Yuzu Sour Slushy with black tea teeters on the edge of summer. The heavy metal-loving, vegetarian and vegan-focused music venue is a never-ending party. Even in the wintertime, White Owl’s expansive back patio is buzzing, with tabletop S’more service to keep you toasty. Oh, and bring your dog. Drink of choice: The Bloody Parliament, with New Deal’s Hot Monkey pepper vodka and beet juice. 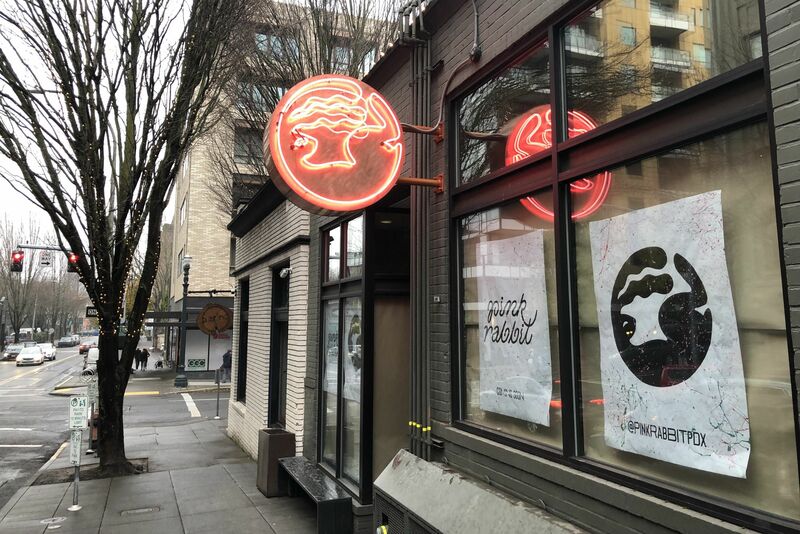 Flanked by four micro-eateries (like Chickpeadx and Rua) inside the new Zipper complex on Northeast Sandy, Paydirt acts as a sort of open-air common area and food court, with a pair of fire pits and a 50-plus foot bar with over 100 different bourbons. Also on tap: a phone booth for tableside champagne orders. 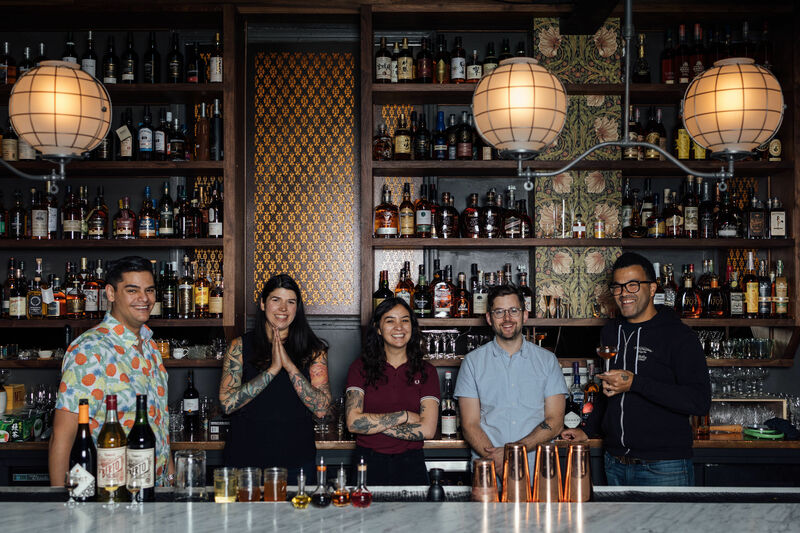 The long-awaited bar is slotted to open Thursday, September 10. We can sense a cold-weather classic in the making. Drink of choice: Bourbon, clearly. Wash it down with a pull of Fernet, poured from the tap.